APhA is the largest association of pharmacists in the country and has a mission of “empower[ing] its members to improve medication use and advance patient care.” Fellows of APhA must display a history of exemplary service and achievement in the pharmacy profession for at least 10 years. Holmes first attended an annual meeting of APhA as a student pharmacist in 2001. She later found mentors and served as an officer within the organization. Another of Holmes’ nominations for the award, written by pharmacy administration professor Alicia Bouldin, spoke to Holmes’ “can-do” attitude that encourages those around her. “Whatever is asked of her, she freely and cheerfully puts her back, heart and mind into accomplishing in good time and in excellent order,” Bouldin said. 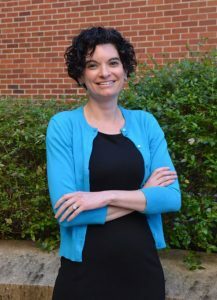 Holmes has also won the School of Pharmacy’s Faculty Service Award and twice won its Distinguished Teaching Scholar award.